Violet Wilson is the "V" in V & R Management. Violet is licensed and works full-time as a property manager. She updates her knowledge annually by taking workshops on Oregon Landlord/Tenant law and management practice. Violet holds a Bachelor of Arts in Science from San Jose State University and a Masters of Science in Education from Western Oregon University. She was a high school teacher for over 34 years in California and Oregon schools. Ronald Wilson is the "R" in V & R Management. Ron serves as the director of business development. Ron holds a Bachelor of Arts in in Behavioral Sciences and a Masters of Science in Counseling and Psychology, both from San Jose State University as well as a certificate in Dispute Resolution from Willamette University Law School. He has negotiated and managed contracts for over 30 years. Ron recently retired executive director of the North American Association of Education Negotiators (NAEN), which is a network of educational management experts for effective employee relations. NAEN members are management negotiators in K-12 school districts, community colleges, and universities in Canada and the United States. He also does custom woodworking through his business, Wilson’s Wood’n Things. 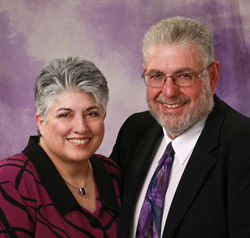 Violet and Ron have been in business together for 25 years. The firm holds membership with the Salem Rental Housing Association (SRHA), Oregon Rental Housing Association (ORHA) and Oregon Landlord Support Association (OLSA). Violet serves on the Executive Board of the SRHA, is editor of the Salem Rental Housing Newsletter, and Vice President of the Oregon Rental Housing Association. She has written articles for the Statesman Journal Newspaper and is a workshop presenter on property management issues. In addition, she is an active mentor for individuals wanting to start out in the property management business. Copyright © 2014 V & R Management, LLC. Designed by Blazing Images Web Design, Inc.